Police are to meet Celtic chiefs for talks after a crush before the first Old Firm game of the season saw fans requiring treatment. Celtic has apologised for the incident in Janefield Street at Parkhead before Sunday’s match against Rangers as fans tried to get into the stadium before kick-off. Mr McInulty said: “Following the events that took place before yesterday’s Celtic v Rangers SPFL match, tomorrow I will be meeting with representatives of Celtic FC and the other emergency services to undertake a thorough and comprehensive de-brief of the policing and stewarding operation. “Later this week we will also be happy to meet with representatives of Celtic FC supporters groups to discuss any concerns they may have. “The safety of all those attending matches remains the absolute priority for Police Scotland. The situation yesterday was a fluid one and decisions were taken quickly to prevent any further persons from gaining access to Janefield Street and to alleviate the congestion in this area. “The response to the overcrowding was in line with tried and tested plans involving stewards, police officers on foot and mounted officers. 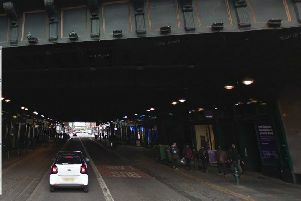 “There has been speculation in the media regarding a gate having been closed on Janefield Street and that this contributed to the congestion. Celtic FC said the match was the first time new segregation and access arrangements had been used.